Data scientists, physicists, mathematicians and behavioural economists. Meet the new deal team. As buyout multiples have climbed and capital piles up in private investment funds, acquirers have been looking for a competitive edge in their hunt for acquisitions. For some firms, that has meant doing more advanced data analysis in an effort to better understand, value and integrate a business into their portfolio. And that is bringing computer science and M&A communities closer than ever. Deal making has always required rigorous number crunching and sophisticated excel modelling, but increasingly it's also involving the use of "unstructured data" that don't format neatly in a spreadsheet, such as census figures, social media inputs, image files and even weather patterns. New technology can help acquirers such as pension funds and private-equity buyers when they're prospecting for deals as well as in the due-diligence and integration phases of the deal. "Ontario is a really good place for a trend like this to happen," says Dave Planques, national deals leader at PwC Canada, which has more than 100 people working on its data analytics team. "We have all these really large pension funds, big and sophisticated private-equity funds, and large asset managers. We also have really deep artificial intelligence, data analytics and machine-learning communities and universities are focused on pumping those people out." David Nowak, managing partner in Brookfield Asset Management Inc.'s private-equity group, says the firm can get more value out of its businesses through data analysis now than a decade ago. One example would be Brookfield's deal to acquire paper-packaging company Longview Fibre Co. in 2007. The company had too many products at the time and Brookfield used data analysis to determine which ones were profitable and which ones weren't and should be jettisoned. That's a more primitive version of what's happening at the investment manager today. To make the gas station business it bought from Loblaw Cos. Ltd. last year more profitable, the company is looking beyond each product's gross margin to other data that show how consumers shop. "Part of the analysis of what we're doing on the convenience-store side is we're trying to figure out where we really make money," Mr. Nowak says of the 213 locations it is in the process of rebranding as Mobil. "Social media, loyalty reward cards and other data sets have made it possible to understand more about the interconnectedness of customer buying behaviour. And the point is that sometimes people will come in to buy a product that is not profitable, but it's the whole reason they went to your gas station to fill up for gas," he said. Firms that sell their data-analysis services say the adoption of new systems by large investors has been driven as much by new technologies as it has by buyers becoming more comfortable with the idea of data analytics and machine-learning services. "Right now, it's an extremely competitive, frothy M&A market and everyone has a focus on how do they get faster in M&A, and how do they identify the value creation opportunities that allow them to put the most competitive bid forward?" said Mark Jamrozinski, Canadian M&A leader at Deloitte Canada, adding that it's only in the past year or two that new technologies are really allowing acquirers to execute deals faster and cheaper. Mr. Jamrozinski says some bank and insurance company clients that would not have hired the firm to do financial due diligence in years past are now bringing the firm in for its ability to process information faster and format it using interactive data visualization products to communicate results to people. There has long been a sense that deal-making is as much of an art as a science and that there's room for improvement among buyers. A range of academic research on the success rates of mergers and acquisitions conducted over the past few decades suggests the chance of a bidder finding, buying and integrating a deal well is often no better than a coin flip. Advanced data analysis aims to improve those odds, and serial acquirers such as private-equity firms may get the added benefit of being able to reuse databases and applications created for previous deals. Alex Mohelsky, EY Canada's data and analytics leader, said thanks to the increasing acceptance and use of cloud-computing technology and the fact that more analytics can be done on low-end commodity hardware, deal making tools are becoming more widely used. Open-sourced computer programming languages such as R and Python have contributed to this democratization, and groups including the CFA Society are offering introductory instructions for finance pros. "Its becoming a bit of a competitive arms race. If you're not aware of how to use those things, your competitors will be and they will target and optimize things better than you will," Mr. Mohelsky said. The lure of bringing more automation to finance picked up in the United States in the past year, according to reports from Bloomberg. A program called Contract Intelligence, or COIN, at JPMorgan Chase & Co. can save the bank 360,000 person hours by using machine learning and software to review commercial-loan agreements, according to one report. And Goldman Sachs Group Inc. analyzed initial public offerings and found that thousands of hours of employee time could be saved by letting computers take over the process, another report found. The system automated steps such as client updates on the deal process. The bank is also mulling how to apply the technology to other deals, such as corporate mergers and bond sales. Still, several Canadian investment bankers and institutional investors declined to comment on this topic, saying that personal connections and relationships are the real drivers of successful deal procurement and integration. Some smaller private-equity funds said that their deals either weren't complex or document-laden enough to warrant investments in analytical resources, or that they didn't believe their target businesses would be good fits with availability technology. 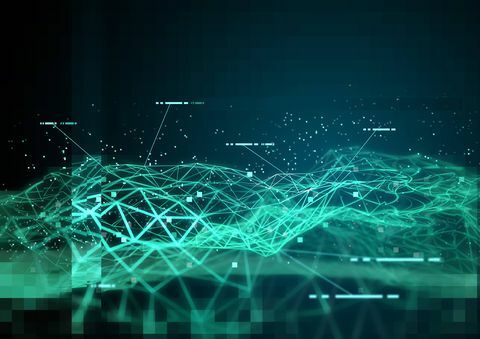 Others, such as Mr. Nowak, say they're glad to have the first-mover advantage in advanced data analytics as long as it lasts, even if the tools are no replacement for the operational experts that know how to ask the right questions. "It's a tool. We use it as part of an arrow in our quiver to make decisions," he said.